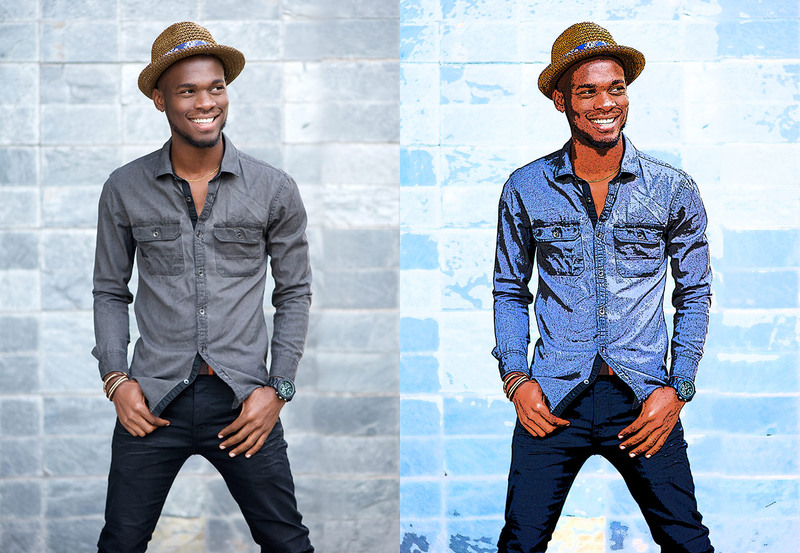 Photoshop Plug-in available via download. On a mobile device? Purchase now and download anytime! 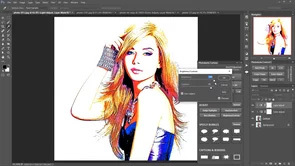 THE PREMIERE PHOTO TO CARTOON IMAGE GENERATOR FOR PHOTOSHOP CC, CS6, CS5 AND ELEMENTS 11 AND HIGHER! 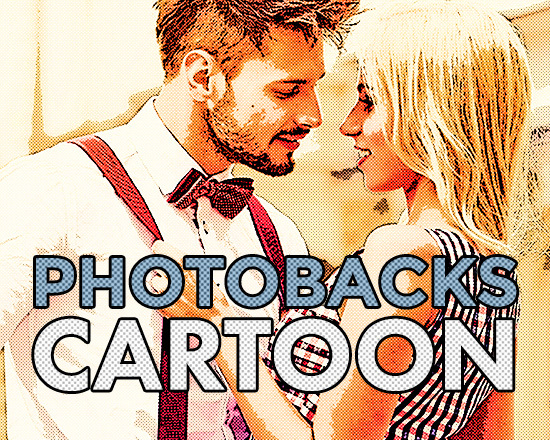 Photobacks Cartoon requires Adobe Photoshop CC (any version), CS6, CS5 or Elements 11 and higher. 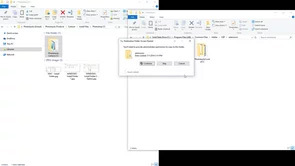 It is compatible with both Windows and Mac. 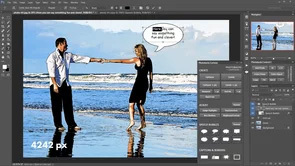 If you do not have a required version of Photoshop, please contact us before purchasing. 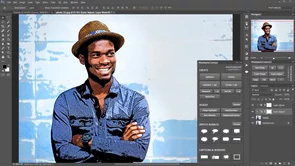 Create cartoon and comic images you’ve always wanted with ease with the new Photobacks Cartoon plug-in for Photoshop! 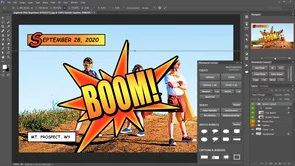 Photobacks Cartoon adds a new panel to your Photoshop workspace, which you can easily collapse and open like any other panel inside of Photoshop. 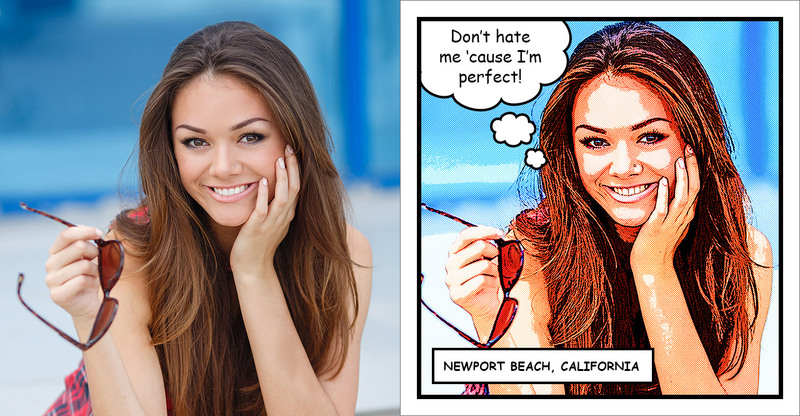 With a click or two, you can create amazing, realistic cartoons, comics and more! Plus, complete dedicated video tutorials are included! Enjoy true to form results that look hand-drawn and not computer generated! Perfect for any print or online image, including social media posts and profile pictures. Use with portraits, seniors, kids, pets, sports, weddings, engagement photos and much, much more! Perfect for any subject or occasion! Everyone will love seeing their image as a cartoon! Note: Panel style and layout shown to the right may vary depending on your version of Photoshop. Photobacks Cartoon panel for CC. 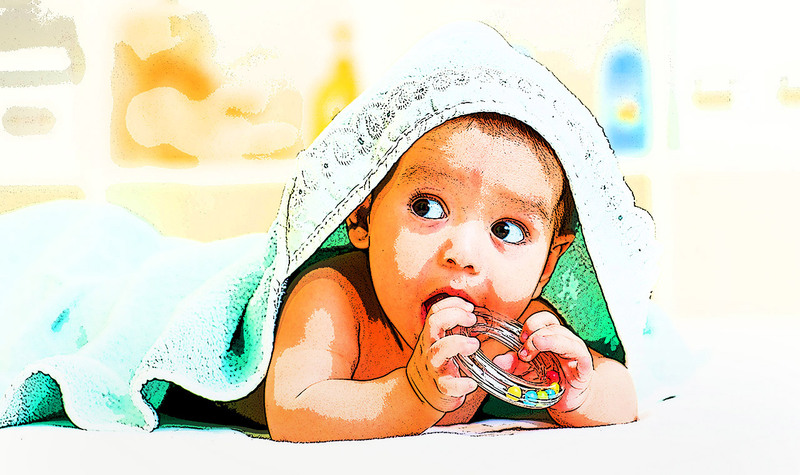 Choose from five unique cartoon effects, multiple adjustments for fine tuning, eight speech bubbles with editable text, borders, captions, headers and word splashes! 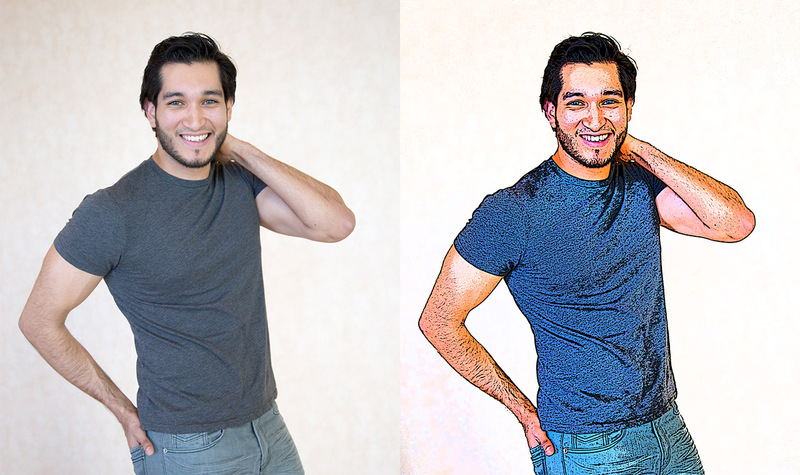 Transform any photo into a colorful cartoon image! 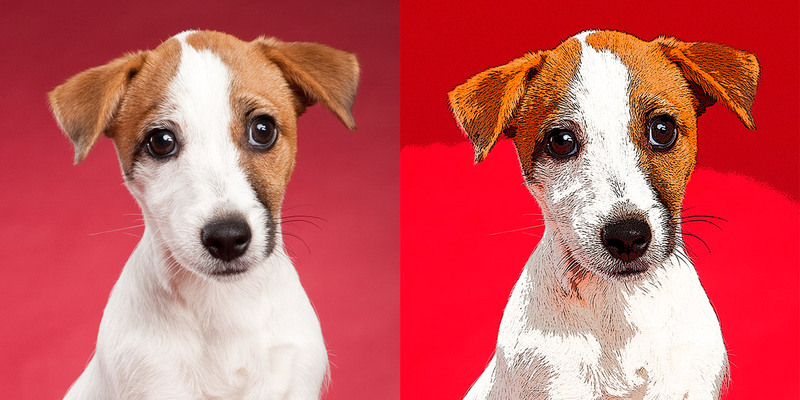 With a simple click in Photoshop, create amazing, cartoon images from any photo. Perfect for any subject or occasion! Great for portraits, pets, weddings, engagements, teens, sports and much, much more! 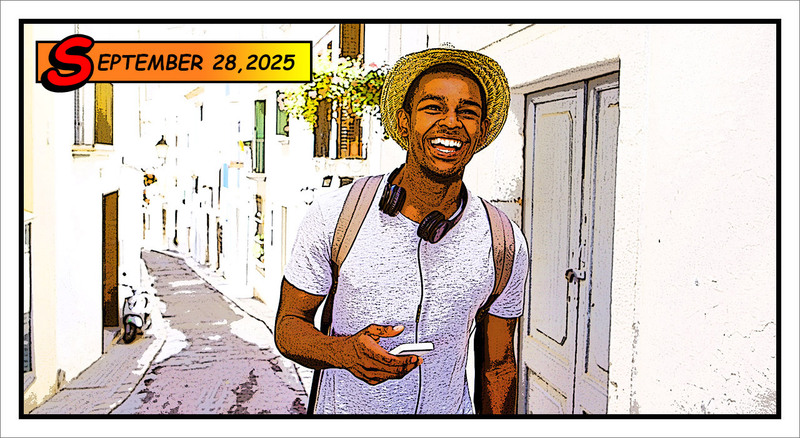 Create exciting comic book style images! Click the Comic button on the Photobacks Cartoon panel and make any image look as though it were printed in an old school comic book, with a “dotted” print effect applied. Add speech bubbles, borders, captions and more! 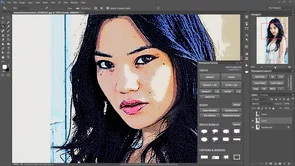 Produce ink or pencil drawings in seconds! 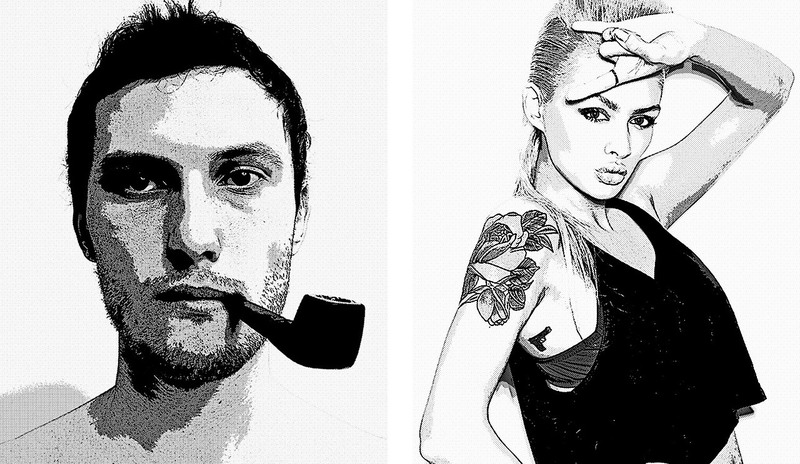 Easily create outstanding ink or pencil drawings of any image. 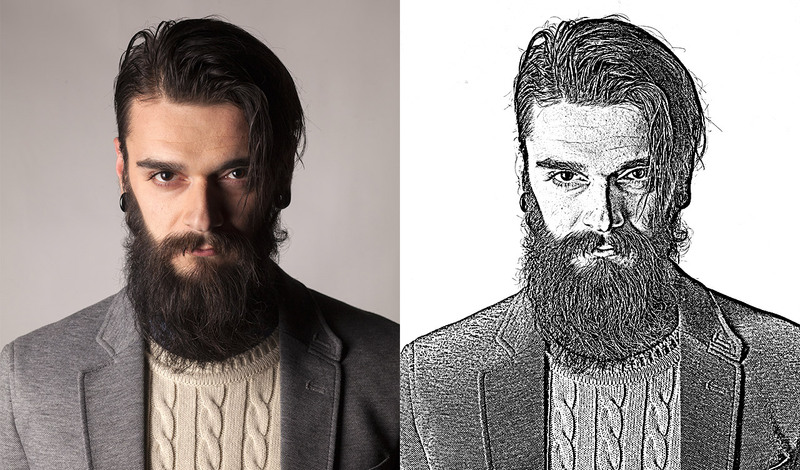 Plus, you can always edit your images using any adjustments from the Cartoon panel or Photoshop in general. Add Speech Bubbles to any image! Just one click for any of eight preset speech bubbles! Simply edit the included text layers to say anything you want with ease! Click the panel’s “Reverse” button to easily switch the direction of the bubble’s tail. 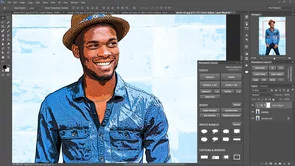 Plus, bubbles are (vector) shapes, allowing you to edit their paths to truly customize for any image (as shown in the included video tutorials). Photobacks Cartoon includes complete video tutorials to guide you every step of the way, from installation to use. We show you how to use every button and adjustment to easily create amazing cartoon and comic effects in seconds. The guide also includes troubleshooting steps and additional creative options. Sample clips from the Cartoon Video Guide shown above. Cartoon Video Guide requires an Internet connection to review. ADD TO CART AND DOWNLOAD NOW!